Canbet was reviewed by gambleNEXT.com and earned a 9/10 rating. Canbet is a INT licensed bookmaker, with a solid reputation among punters. Canbet online offers very high betting limits making it the favorite for many high roller customers. Canbet website design facilitates the access to few important categories of odds such as moneyline, Asian handicap, over/under and odd/even. These are some of the main choices for European and Asian customers, along with a good live betting platform featuring over 500 matches per week. Canbet Sportsbook offers some great Asian Handicap odds on a diversity of sporting events from Americas and Europe. Horse racing events are also covered from INT, Hong Kong, Singapore or Australia, proving once more the global reach of Canbet brand. Canbet is one of the few Western bookies that are also Chinese friendly, accepting players from China and offering full support in their language. The payouts are quick, and we should point out that deposits and withdrawals from Canbet are free of charge. When you register your Canbet account, you will be asked if you have a promotional code. Check below our latest Canbet promotional code to use and get your maximum bonus. The Canbet bonus is offered as a deposit bonus up to a total of €180 / $250. Register with Canbet and enjoy a great bonus to be used on a multitude of sport betting events. Bonus match is to be offered based on the country of residence of each player. Canbet has no mobile version at the moment. 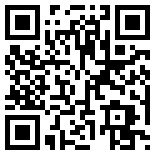 To check online sports betting with mobile version visit m.gambleNEXT.com from your mobile device or scan the QR code to the right. Check below what other users have to say about Canbet or write your own review if you have used Canbet Sportsbook.